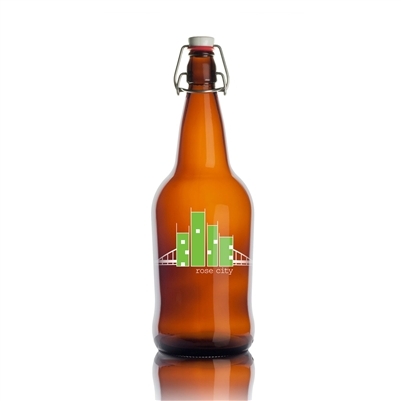 These 32 oz Message in a Bottle Growler can be printed with your client’s 1-4 color logo. 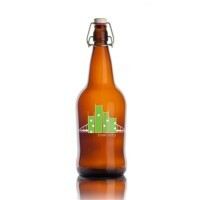 These bottles are becoming very popular with the recycle, reuse market and consumers. Starting with organic food stores like Whole Foods and others, these bottles are used for purchasing bulk liquids including “on tap” beverages. Growlers have been around for a very long time. Many people believe they look like something straight out of the Prohibition Era, when people would deliver moonshine to hidden pubs and clubs, but they actually predate this. 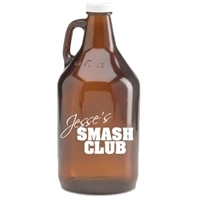 Indeed, the growler was designed to allow people, who lived far away from bars and breweries, to purchase a large container full of their favorite drink and take it home. 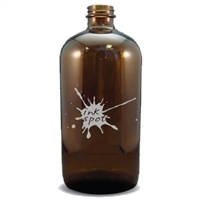 This container is the growler and our 32oz "message in a Bottle" swingtop growler is a smaller version of this. It is believed that the name "growler" stems from the hissing sound that you will hear once you remove the top and the carbonation escapes. Whether or not this is true is debatable, but what is known as a fact is that the swing top growlers are of the highest quality, as they allow you to contain as much carbonation as possible, allowing you to open and close the growler over a longer period of time without your drink going off. 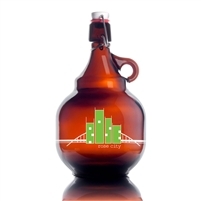 Our 32oz 'Message in a Bottle' swingtop growler is the perfect growler for any beer enthusiast. Perhaps you really want to relive the past and have your growler filled in your nearest brewery or bar. Or perhaps you are brewing your own beer and would like to store that properly. 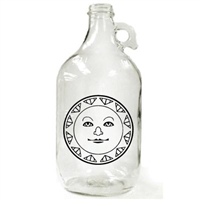 Our growler can be printed with a name and logo of your choice, so you could celebrate any brew you have created in style. Additionally, they make for fantastic decoration items, as they can be used as candle holders and the like. Colors: Normal production time is 5 to 10 working days.